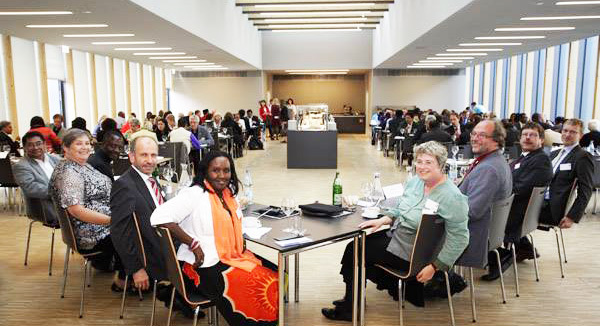 Meeting of ecumenical families: Assembly of the United Evangelical Mission (VEM) in Wuppertal 2014. This ecumenical networking is shown in co-operation and co-sponsorship for the running of numerous organisations and institutions, and in involvement in activities on a variety of topics. Going beyond Christian ecumenism, the Rhineland Church promotes Christian- Jewish dialogue in particular, and in addition it attaches great importance to good-neighbourly relations with other religions.